Today I have Sharon Lathan over for an interview and at the end you can win her new book, Miss Darcy Falls in Love. Tell me 3 fun things about yourself. I love to scrapbook. It began with creating a scrapbook for my newspaper articles and other author-related mementos. That grew into an obsession so that I now have tons of scrapbooking supplies. Then, just in the past few months I discovered digital scrapbooking and I have gone crazy! I am an insane lover of Disneyland. Our whole family is. We hold annual passes and go to Disneyland at least 5 times a year. In fact, my daughter was proposed to in California Adventures! I can guarantee you that we will be heading there again for the Holiday Season. I am an awesome Scrabble player. My sister and I have played endless games of Scrabble when together. Now I am addicted to Words With Friends (iPhone Scrabble) and have about 10+ games going on at all times. I can seriously kick bootie on WWF, so watch out! Wanna play? Could you tell me about your new book, Miss Darcy Falls in Love? Georgiana’s novel is a fresh experience for me. 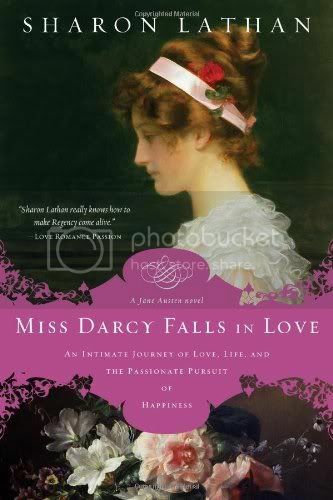 Unlike the five novels of the Darcy Saga which are a continuous series, Miss Darcy Falls in Love has a distinct plot line with a full arc. It is completely independent novel with a single story that focuses only on Georgiana’s love triangle. For me that is unique and it was tremendous fun! I wrote her story with music as the central theme. Not only in that she is a musician herself, as are both of the men who vie for her heart, but I carried the thematic elements into the names of each chapter and dividing the whole book into a sonata format. It was extremely important to me that music immersed the pages as thoroughly as possible so that readers would feel the importance of music to these characters as clearly as if the sounds were audible. Hopefully I accomplished that. How has Georgiana matured and changed during these books? Jane Austen tells us very little about Georgiana other than that she is shy and wounded from her experience with Mr. Wickham. I expanded on that gradually as the Saga advanced. Initially I was not sure how Georgiana would mature. Early on she was skittish, reserved, and endlessly shocked by Lizzy’s liveliness. Her blossoming was a natural result of time, exposure to new people as she traveled, and the friendships she made along the way. Mary and Kitty Bennet played a large part in Georgiana’s evolution. I saw the differing personalities of these three as a perfect blending with each of them learning from the other. Georgiana surprised herself - and me - by discovering she loved to dance, could converse in a crowd easier than she imagined, and had the ability to flirt a bit. Then she set out on a tour of the Continent, even crossing the Alps! Quite the wild woman! Suffice to say, Georgiana at 20 is a very different person. How many more books will there be in this Darcy series? I am currently writing the saga of Dr. George Darcy. That novel, like Georgiana’s, will be a stand alone novel so perhaps not technically part of the series. However, there will be more overlap, especially toward the end when George is back in England for good. Although centered on George, readers will also meet James and Anne Darcy, the senior Mr. Darcy, and a young Fitzwilliam. So, okay, yeah, it is part of the series! After that I do not know. I will probably divert into writing some historical romance ideas I have, but it is too soon to tell. Do you plan on writing more variations when this series is finished? If by “variations” you refer to other Austen novels the answer is a strong NO. I have no desire to tackle the other Austen characters, for many reasons. The Darcys are different in that they have now moved far beyond where Austen left them. Their characters and lives are mine so I can comfortable carry on with them. Starting fresh with Anne Elliot and Capt. Wentworth or the Tilneys is a challenge I do not want to attempt. Are there still characters from Pride and Prejudice that you would like to explore more? Yes and no. I have a soft spot for Charlotte Collins and Caroline Bingley. I have often thought of delving into their lives a bit deeper. Maybe someday. I am also quite partial to the Darcy children I wrote. There is lots of fodder for stories with them! And last, could you give any aspiring readers any advice when it comes to writing? The best advice is to keep writing. “Practice,” as Lady Catherine would say! This is a crazy business and nothing is for sure except for one thing: If you don’t keep writing and striving to get your work noticed, you will get no where. Persevere, be strong, and keep writing! Thank you so much for having me on your blog! I love interviews and hope your readers enjoy what I have to say AND are intrigued by the synopsis and excerpt! I’ll be popping in as ofter as I can throughout the day to answer any questions. “Have you and the baron suffered a spat? Is your heart now broken by him so soon after being broken by Monsieur Butler?” Yvette mourned, her frown of concern as overblown as Zoë’s. “My heart has been broken by no one,” Georgiana assured for the umpteenth time, sighing and walking toward the piano. The twins did not look convinced but they argued no further. Minutes later Georgiana was alone. Blessedly alone. Everyone in the house was gone except for the servants, who wandered about quietly attending to their tasks. 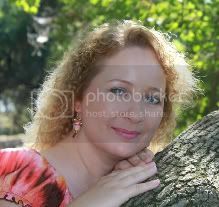 Even Mrs. Annesley had gone for an afternoon by herself in the city. Lord Caxton promised to join her for tea later in the day, as soon as it was possible to break away from practice for an upcoming symphony performance, but that gave Georgiana upwards of three hours of freedom. “Freedom,” she mumbled as she spread the sheets along the piano rest. An odd word choice, she thought, pausing to reflect. Am I not happily anticipating the baron’s visit? She nodded as an answer and it was true that she enjoyed his company. She ran the tip of her index finger over the symbols inked on the staff, following the lines across to the brace and then down to the lower staff. Without lifting from the parchment, she completed the circuit, tracing each clef and note sign until reaching the bottom of the page. There she paused, staring at the signature scrawled in the margin for a minute before brushing her fingertip over it. Sebastian Cedric Frasier Albert Butler. Thanks for a great guest post, Sharon and Blodeuedd ! I am constantly amazed how prolific the Austen-inspired writers can be! Great choice of characters to write about! Sounds like a fun read. Yes, Anachronist, we are quite prolific. Austen is taking over the world! Just check out the authors on my group blog - Austen Authors - and the 20 of us are not the exhaustive list by any means. A story about Georgiana! Oh, how sweet. I'd love to see her find love. And I love scrapbooking too, though I don't do it as often as I used to. It's an expensive hobby. Scrapbooking is quite expensive, Missie. That is why I was happy to discover digital scrapbooking. You can pay for images, but TONS of stuff is free! I bought a program - My Memories Suite - and I love it. There are others or you can do it online. But the cool thing is you can move stuff around until it is perfect, use the same cutesy items over and over, and then get the page printed off. Really cool. Asides from that, I love the questions and the extract, Sharon. Thank goodness for the blog tour to keep me occupied until my coveted copy of MDFIL falls on my doorstep. Looking forward to meeting the "new" and improved Miss Darcy. Thank you for a chance to win a copy. Touched on a hot topic with the scrapbooking. LOL! My daughter got into it years ago with Creative Memories (I think that is right) and I would shake my head at her. Just did not get the appeal at all. Then I sat down with her to throw together a few pages for my author related stuff and, well, the rest is history as they say! I too wish I had more time because I really love it. Yes, George needs love. More than he knows, in fact. Sam, I am sharing so many excerpts with this blog tour that you will have read just about the whole book by the time yours arrives! I hope the UK gets theirs soon. I am not sure the release date there. I have not checked. What a great post! I love to read about Georgiana! This sounds wonderful! Great post! I'd love to enter. I'm really glad that I gave this author another chance because I really enjoyed this book!! Fun interview! I love all of Sharon Lathan's books and Miss Darcy Falls in Love does not pale in comparison to the others. I really enjoyed touring abroad with Georgiana and her love triangle was really fun to read. Again, I love this new novel by Mrs. Lathan and I look forward to reading more of her novels in the future, especially Dr. Darcy's book! This book sounds terrific! I have always wanted to read more about Georgiana! I would love to win a copy. Thanks for the opportunity. This sounds like a great book and I look forward to reading about these Austin inspired characters. Ooo not international, so I can't enter. But thank you for a very interesting interview, I enjoyed reading it. And I would like to read this book, as I am curious about Miss Darcy. Great interview ladies. I have heard good things about Miss Darcy Falls in Love. It's nice to see Georgiana getting her own story. Thanks for continuing to comment on my interview while I was preparing for Thanksgiving. Busy busy! It is nice to see so many readers interested in Georgiana Darcy's love story. I am confident each of you will love it! I'm glad Georgiana got a chance to tell her story.